Sri Lanka Massage Places and Ayurveda Spa's Information Directory: Nimro Full Body Treatment Center - Colombo 07. 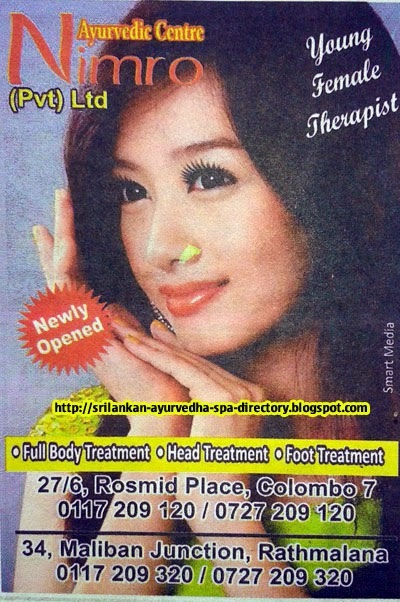 Nimro Full Body Treatment Center - Colombo 07. Nimro Full Body Treatment Center, No. 27/6, Rosmid Place, Colombo 07. Branches: No. 34, Maliban Junction, Rathmalana.